Ford Motor Company is bolstering its presence in the popular sport utility vehicle (SUV) category in South Africa with a revised Kuga range that ticks all the requisite boxes for this segment: outstanding comfort and luxury, cutting-edge technology and safety, engaging driving dynamics as well as efficient performance. Building on the sophisticated appeal of the new generation model launched late last year, the revised line-up drops the Titanium specification in favour of the exciting new ST-Line for the powerful 2.0-litre EcoBoost and TDCi models, giving greater credence to the sporting character of its modern SUV. The Kuga range also gains an extremely competitive all-new offering in the frugal yet punchy 88kW 1.5 TDCi turbodiesel-engined models, available in Ambiente and Trend specification levels matched to a six-speed manual gearbox. 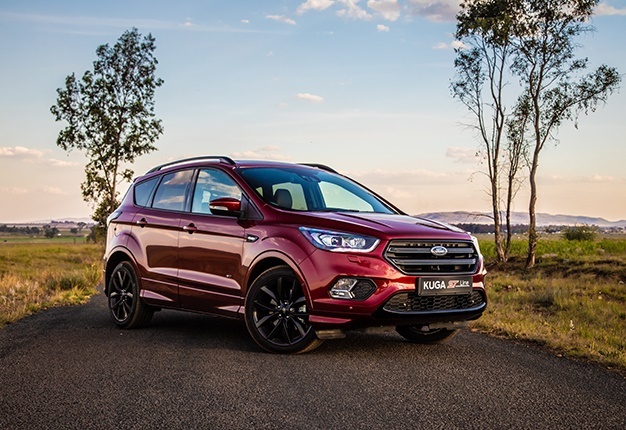 "The new Ford Kuga is an exceptional offering in the highly competitive SUV segment, and we’ve now made it even more appealing to buyers across the spectrum," says Doreen Mashinini, General Manager, Marketing at FMCSA. "At the pinnacle of the range, the stunning new ST-Line gives the Kuga the eye-catching design and dynamic flair to match the superb performance of the 2.0-litre petrol and diesel models. "At the same time, the introduction of the extremely efficient yet lively 1.5-litre TDCi engine ensures that we fulfil the requirements of customers that prioritise low fuel consumption and budget-friendly running costs," Mashinini adds. For the first time, the Ford Kuga will be available with a frugal yet punchy 1.5 TDCi turbodiesel engine. Offering exceptional fuel consumption and low running costs, the 1.5-litre unit shares the advanced diesel technologies with the existing 2.0 TDCi engine, including a lean NOX trap for cleaner exhaust emissions, components with a special diamond-like coating that reduces friction, and a sophisticated Variable Nozzle Turbocharger for enhanced engine breathing. Power is rated at 88kW along with a peak torque output of 270Nm. Two 1.5 TDCi models have been introduced to the line-up, comprising the Ambiente and Trend series, both of which employ front-wheel drive and a six-speed manual transmission. The 2.0 TDCi, which produces 132kW of power and a substantial 400Nm of torque, is now exclusive to the new ST-Line series, combined with Ford’s Intelligent All-Wheel Drive system and six-speed PowerShift Automatic gearbox. The 1.5-litre EcoBoost petrol models are only available in FWD guise, starting off with the Ambiente that uses a six-speed manual transmission and delivers 110kW and 240Nm. Buyers can also opt for the six-speed torque converter automatic with 132kW on tap, available in Ambiente or the more luxurious Trend specification. The most powerful offering is the 2.0 EcoBoost ST-Line, which delivers an exhilarating 177kW punch allied to 340Nm of torque. Power is transmitted to the AWD system via a smooth-shifting six-speed torque converter automatic transmission. The Ford Performance-inspired ST-Line offers customers a greater choice of styling and specification as part of the comprehensive Kuga line-up. The range delivers a bold design that mirrors its athletic character. It stands out from the rest of the range thanks to the high-gloss Ebony Black finish for the front grille, along with a striking honeycomb design for the lower portion of the grille and matching sports mesh finish on the fog lamp bezels. Extensive colour coding for the integrated body kit incorporates the front skid plate, side skirts, mirrors, door handles, rear roof spoiler and wheel arches to provide a lithe and eye-catching appearance, set against contrasting elements such as the high-gloss Ebony Black rear diffuser, black roof rails, tinted front and rear lights, as well as privacy glass for the rear windows. A black beltline beneath the windows and ST-Line exterior badging on the front fenders raise the exclusivity bar several notches, complemented by a choice of 18" high-gloss black alloy wheels with a bright machined surface, or optional 19" versions in Ebony Black. The cabin ambience has been given a distinctive splash of dynamic flair too, thanks to the fitment of sport seats trimmed in partial leather, picked out with contrasting stitching for the seats, steering wheel and gear lever gaiter. A dark headliner and pillar trims, combined with a special two-layer metallic-effect Deep Space paint on the centre console, alloy pedals and scuff plates incorporating the ST-Line logo guarantee further individuality. It delivers the sportiest driving dynamics yet for this model, with chassis enhancements incorporating optimised suspension and steering. The revised set-up benefits from thicker anti-roll bars, a 10mm lower ride height for reduced body roll and sharper responses, as well as the fitment of stiffer suspension bushes. Spring and damper rates have also been fine-tuned to deliver unparalleled comfort and performance. Furthermore, the Kuga’s steering system employs a revised calibration to deliver a tighter, more responsive and sporty feel. As before, a selection of option packs is available with the range-topping models. The Driver Assistance Pack for the ST-Line adds Adaptive Cruise Control, Advanced Active Park Assist, Blind Spot Information System and Lane Keeping Aid. 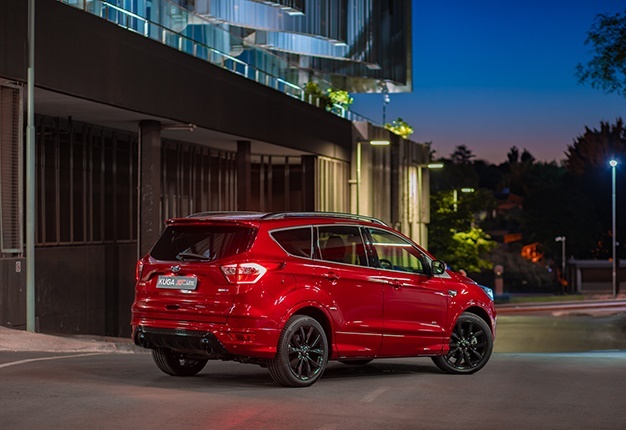 The Styling Pack includes the power opening panoramic roof, 19" alloy wheels and a larger single-wing rear spoiler that gives the Kuga an even more spirited appearance. High-Intensity Discharge (HID) Bi-Xenon headlamps with LED Daytime Running Lights can also be specified on ST-Line models. The trendy Renault KWID has proved its popularity through an excess of 20,000 sales since initial launch in November 2016. Hyundai debuts its all-new Venue at the New York Motor Show, to join its larger siblings Kona, Creta, Tucson and Santa Fe. I'm a 45 year old man looking to meet women between the ages of 25 and 37. I'm a 36 year old woman looking to meet men between the ages of 35 and 45.